If you’re someone who regularly relies on sending or receiving mail, then here’s some important news you should be aware of. According to a report from the federal government, Canadian stamps are going to rise in price on January 14, 2019, just about two short weeks from now. The cost of a single stamp, currently $1.00, will soon rise to $1.05. While it may seem like a minor increase, the price bump is expected to generate millions of dollars in extra revenue to help Canada Post keep its services running in a time of declining letter mail volumes and other financial issues. “The rate increases will help ensure that the costs of running the postal service are paid by those who use it and not the Canadian taxpayer,” the report reads. This will be the first time stamp prices have increased since March 2014. 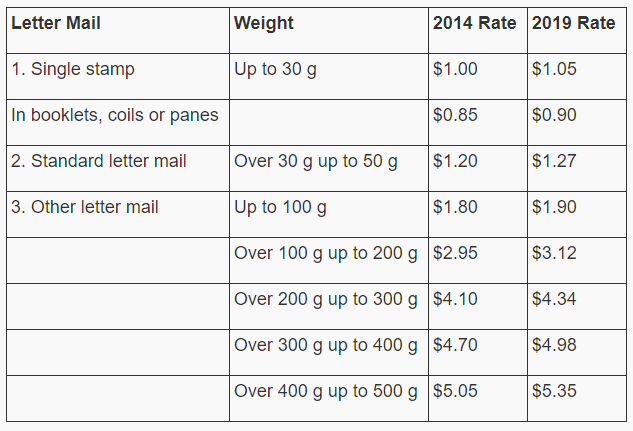 For more information regarding current and future Canadian stamp rates, click here. What are your thoughts on the price increase?